CHICAGO -- Police are warning North Side businesses about a pair of armed robberies in Chicago's Lincoln Park neighborhood. Authorities said a man armed with a small revolver targeted a store in the 2800-block of North Broadway Avenue around 10:30 a.m. Saturday. A store in the 700-block of West Fullerton Avenue was robbed on Jan. 9 around 2:30 p.m. In both incidents, a man walked in and demanded cash from the register. 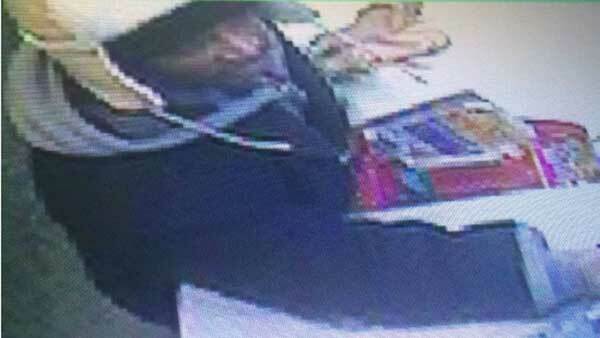 Police released a surveillance photo of the suspect in the robbery on Broadway. He is described as an African American man in his early 40s, about 5 ft. 10 in. tall and around 150 lbs. he was wearing a tan, trapper-style winter hat, a black jacket over a gray hooded sweatshirt, blue jeans and white gym shoes. Police said the suspect in the Fullerton incident was described as an African American man in his late 40s. He was wearing a red and gray plain trapper-style winter hat, a black jacket, blue jeans and white gym shoes. Anyone with information regarding these armed robberies should contact Area north detectives at (312) 747-8263.